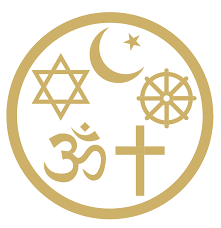 Religion may be defined as a cultural system of designated behaviors and practices, worldviews, texts, sanctified places, prophecies, ethics, or organizations, that relates humanity to supernatural, transcendental, or spiritual elements. Dogma. Religions typically have strong dogmatic view- you cannot challenge a religion's rules or views, even slightly, without being a heretic. Ritual. Religions often embrace ritual deeply, as part of the practice and education. BROJO does not take a stance on religion, spirituality, or faith. In general, our view is that you shoul actively pursue what works best for you, and benefits you most in life. Having said that, our coaches occasionally encounter clients whose religious mindsets engender strong limiting beliefs for them, and create a good deal of unhappiness in their lives. Self-Agency. If the higher power is omnipotent (absolute), then my life and future are already fully known and pre-arranged. I have no free will. Self-Responsibility. Ultimately whatever I get (or don't get) in life, is not my decision. Someone else is responsible to decide my fate. Nothing that I want, or try to accomplish in life will ultimately succeed unless God or the universe wills it. If you currently posess a strong religious mindset, and notice that it limits your ability to live a full and complete life, talk to a BROJO Coach. We can help you explore the values and morals of your religion, and design a life approach that enables you to take responsibility for your own life, and your own growth, while embracing your values most fully. ... there's a profound net negative that we are paying the price for every day by believing in paradise... a belief that this life doesn't matter very much at all because we get what we really want after we die is ruinous for prioritizing what we should be prioritizing in this life. Two key intellectuals in the debate between rational and spiritual worldviews are Sam Harris and Jordan Peterson. Here is an excellent debate of each perspective, and their pros and cons.